It’s quite simple. 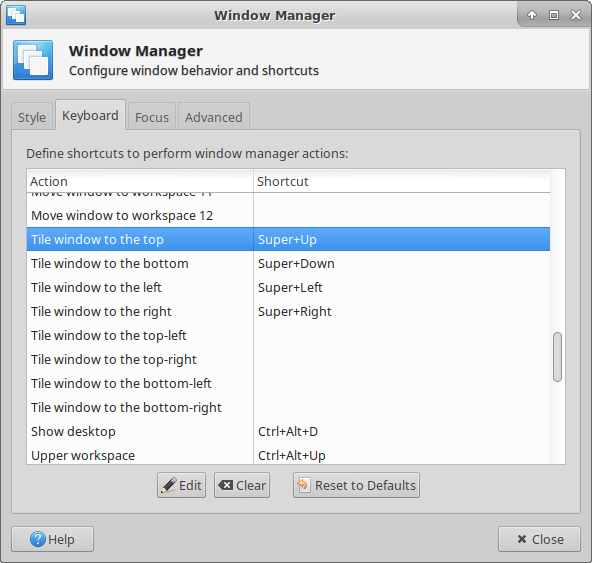 Open Settings → Window Manager → Keyboard. 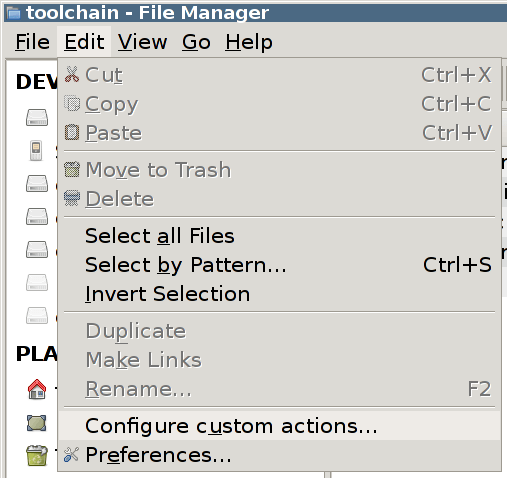 Then find the various “Tile window to the…” options. Finally, pick your desired keys. You can’t make it function quite as smoothly as in Windows 10, but it certainly helps. Of course you can also just drag the window against the side of the screen with the mouse. But sometimes the keyboard is faster. 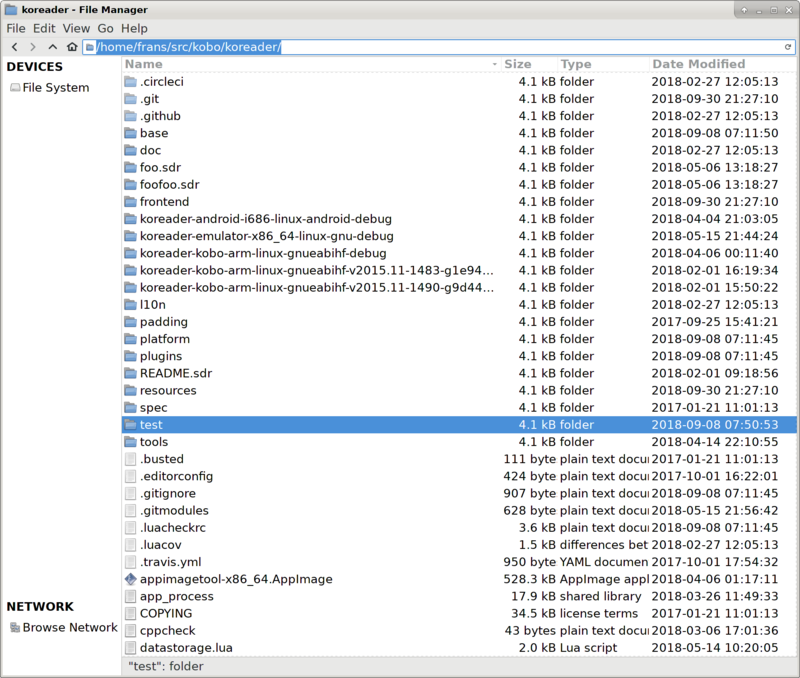 Thunar is one of the best graphical file managers I’ve used, and I say that even while I own a Directory Opus license for Windows. I have some minor quibbles like very sparsely populated default actions on files and folders, but the biggest flaw is doubtless that the breadcrumb navigation doesn’t feature all of the regular folder interactions. 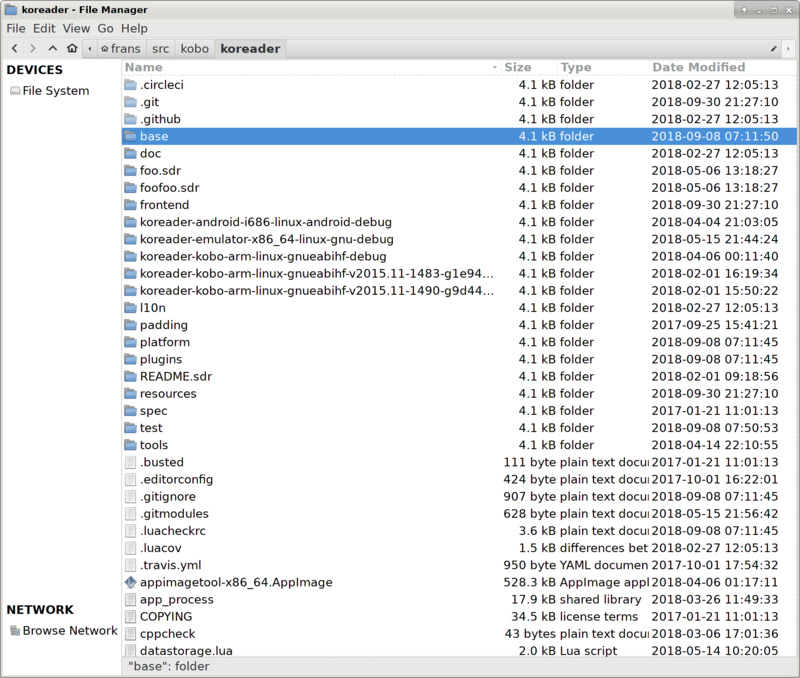 In any case, in this blog post I intend to show how I improve on both Thunar and GNOME Search in one fell swoop. I’ll start with a screenshot of the desired end result. You right click on a folder, and you’re presented with the option to search for files in it. 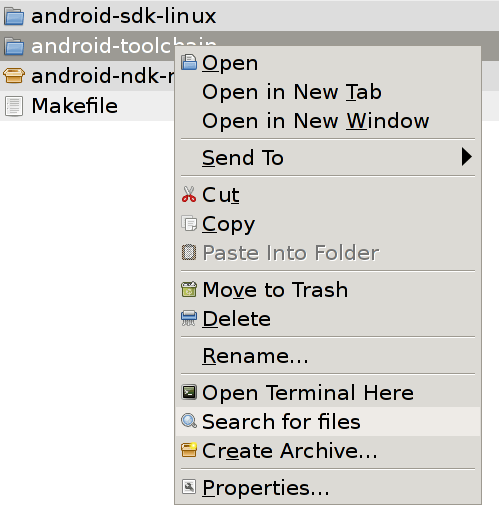 My context menu with Search for files. In order to add this custom action, you’ll have to configure custom actions. Edit → Configure custom actions. Then you click + to add a new one, or you can edit an existing action. Choose whether to add or edit a custom action. 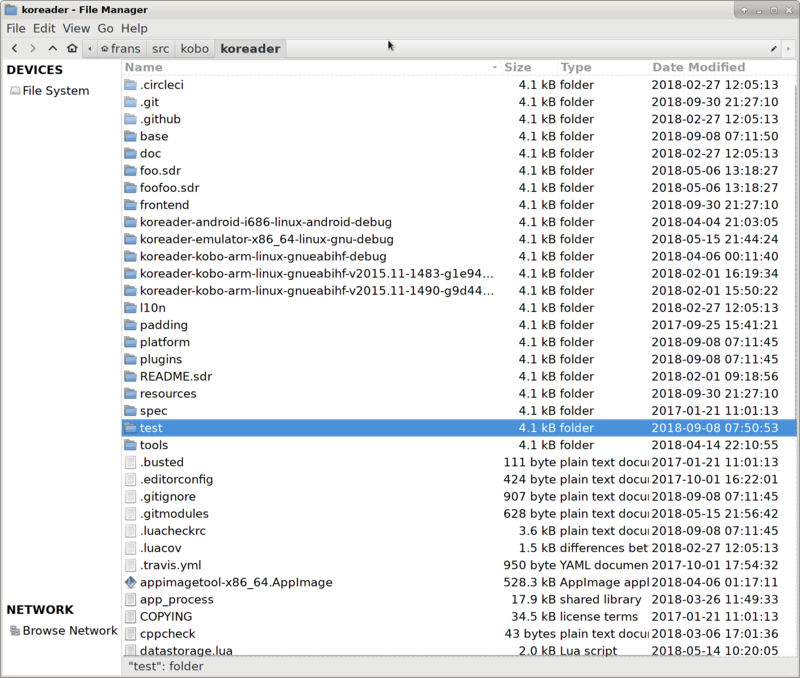 You can type the name that will show up in the context menu, a little description for yourself, choose a fancy icon, and under appearance conditions you can choose whether this custom action applies to a specific type of files or folders. Unfortunately this dialog can’t be resized, but since you can copy and paste it’s not too bad. Finally, here is the result. 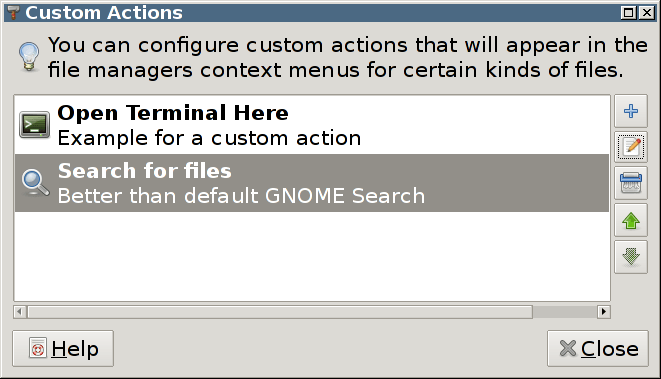 Note that since I started gnome-search-tool with --contains=, the option to search for files containing specific text will show by default. 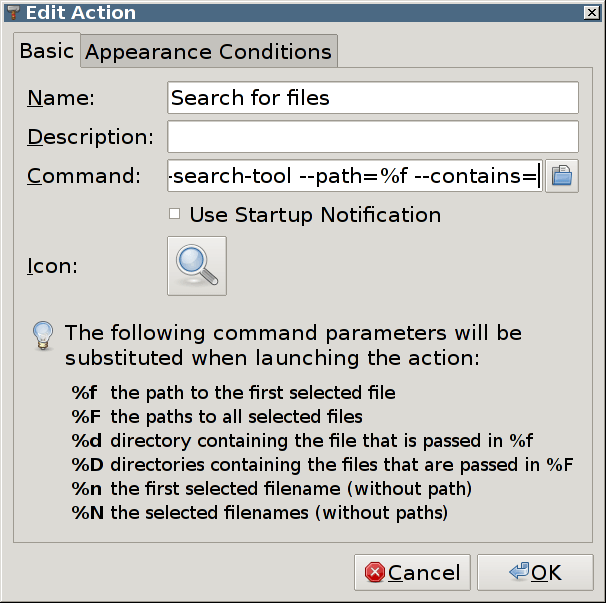 GNOME Search for Files (gnome-search-tool) with Contains the text expanded by default. You can perform similar tricks with any of these other options. Also see Finding Files on the Ubuntu wiki. Back in November I decided to try Aard 2 on my laptop. I followed the instructions and it worked. Then I created a launcher with the following command and suddenly it did not. A different strategy, passing a command to Bash, did the trick. bash -c "java -Dslobber.browse=true -jar ~/programs/aard2/aard2-web-0.7.jar ~/programs/aard2/slobs/*.slob"